Welcome to my page where I share my journey to toxic chemicals free life. I will show you how easy it is to be healthier, happier and smelling amazing without toxic chemicals from regular products. 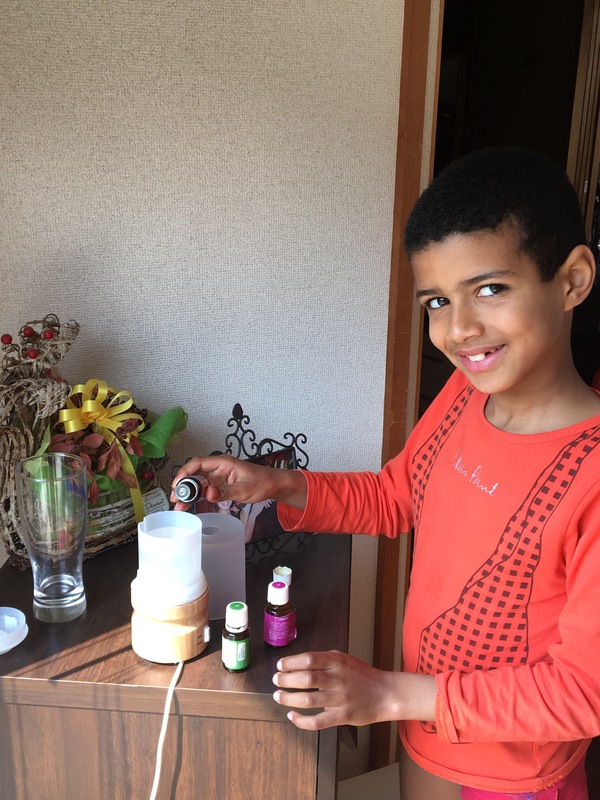 Essential oils has been used for thousands of years, you can find reference of them in a Bible, in Ancient Egypt, Rome and Greece… It is not a hippy thing that would go away, it is something that has been around and tested and loved. Using Essential oils is a life style. It is what we love. It is my Go To when I need little pick me up in the morning, when I am about to write this blog and my brain is just not working, or on the opposite when I need to wind down and get a good sleep. My oils are there for me and I love them. We live in a toxic world. People are careful about their food but only recently, people started to realize what we put on our bodies is equally important. An average woman puts almost 100 chemicals on her body before breakfast. All that while showering, brushing teeth, washing hair, applying make up, styling hair… Our bodies absorb approximately 65% of the stuff we put on it! Not everything we find in the stores is good. Many companies use the word Vegan when describing their products. So if its vegan, it must be good, right? The fact that some product is vegan only means it’s not derived from animal sources, it doesn’t mean it does not contain harmful chemicals. According to studies, most of our favorite cosmetics are just cocktails of potentially dangerous chemicals that could damage our health. But it does not have to be that way. I have decided that I will do the best I can to implement chemical free home principles. Little by little I started to make my own cosmetics, removed household cleaners bought in regular stores, stopped using laundry softeners, shampoo, hair treatments, hair sprays, body lotions, face creams and serums. I went to my bathroom, checked the ingredients and realized each and every one is toxic. I threw them all out and made our own. The best thing about making your own cosmetics is you know exactly what you put in it. You can adjust depending on your current skin condition or what effects you are expecting. Also, you can change up few ingredients so you do not feed your skin the same ‘food’ over and over. Also, I no longer need to buy different products for our son, for myself and different for my husband. We all use the same line. Made with love by MamaD’s with Young Living Essential Oils. There is a reason why I only use Young Living Products. They are the best. They own their own farms and they grow their plants in their original habitats. They have Seed to Seal Guarantee which means they control your product from the moment they plant it, through out the time it grows, through harvest, distillation up to the point your essential oil is bottled and sealed. 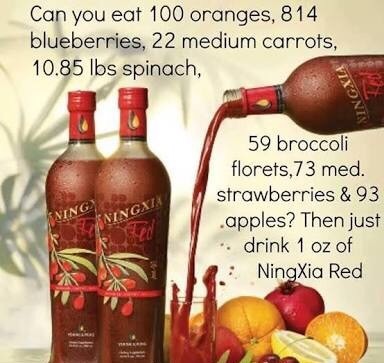 The company has amazing integrity and the quality of the oils have no comparison. Melt your Shea Butter over Double boiler and pour in a bowl. Add the Avocado Oil and all your Essential oils. Whip together with hand mixer (I use KitchenAid Stand Mixer) until you get beautiful creamy consistency. They put into Glass Jar with a lid. This will make approx 400 ml of Body Butter. Why I used these oils? I got inspired by a dear friend of mine. She hurt her leg and was all bruised up. I wanted to help her muscles to recover faster and these oils are absolutely amazing for skin rejuvenation. I replaced most of our cosmetic products already. I love to experiment with my oils and come up with new interesting combos that are great for me, my family and my friends. I often hold Essential Oil Classes and my students always motivate me to try new things and discover new ways to use my oils in our beauty routine. First I stopped using Shampoo. I only use Hair Mask made with Essential oils and then Baking Soda Paste with Essential oils again. Start by mixing the sugar and coconut oil in a bowl. 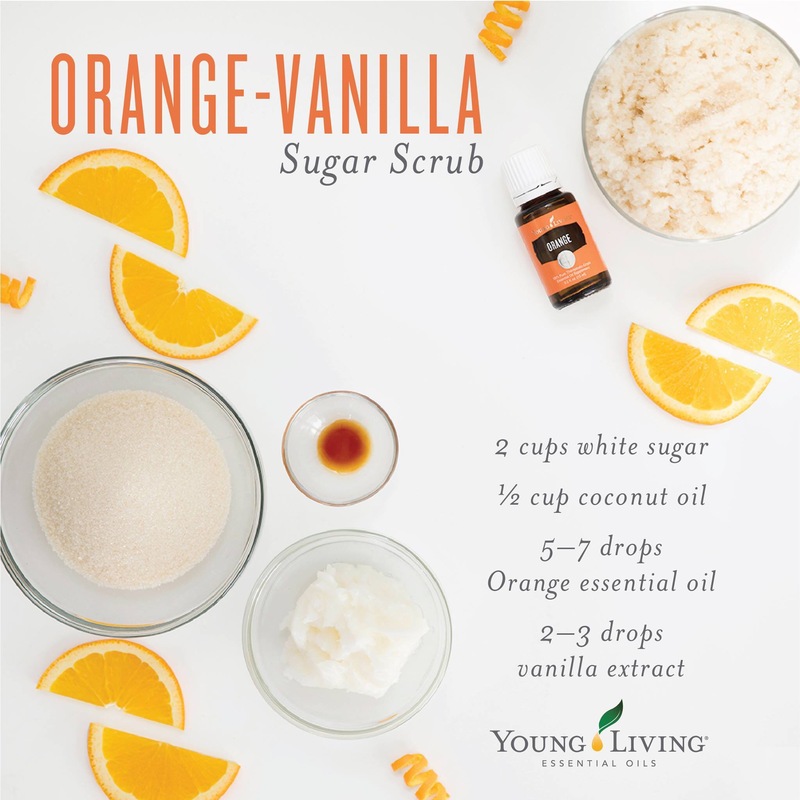 Add the Orange essential oil and vanilla extract. Mix and blend until it’s at your desired consistency. Apply to wet skin and rub in a circular motion. Rinse. Store in a glass jar to keep fresh.